What better way to follow up Thanksgiving than a play about a patriarch who loses his mind as war rages between the children among whom he's unwisely divided his kingdom? Too much like family dinner? Don't worry — it's better with costumes. Shakespeare's family tragedy King Lear rages onstage at the Van Duzer Theatre on Sunday, Nov. 30 at 8 p.m. courtesy of Shakespeare's Globe Theatre of London ($65, $10 HSU students). 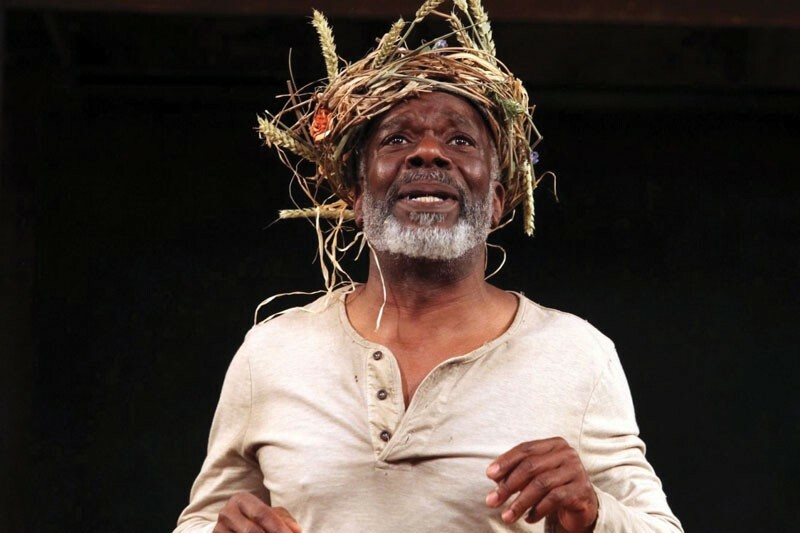 On film alone, Lear has been re-envisioned with every possible setting from an Iowa farm to feudal Japan. But there's no cheeky updating or modern interpretation here — the Globe company does things old-school, recreating the plays as they were done in Elizabethan times on a small stage like the one the Bard himself would have used. The company has skipped across the pond with eight actors to play all the parts and bring the broken familial bonds, battles, madness and pageantry to life without high-tech tricks and fancy set pieces. (Take that, Baz Luhrmann.) Instead, the actors take us into the drama and the humor with their bodies, their voices and the words.